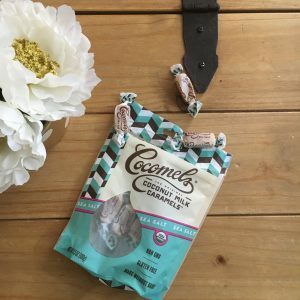 This entry was written by Dr. Shelly Masters , posted on Thursday February 02 2017at 11:02 am , filed under Uncategorized and tagged caramels, cocomels, dairy free, healthy treats, natural sweeteners, non-toxic, organic brown rice syrup, organic candy, treats . Bookmark the permalink . Post a comment below or leave a trackback: Trackback URL. 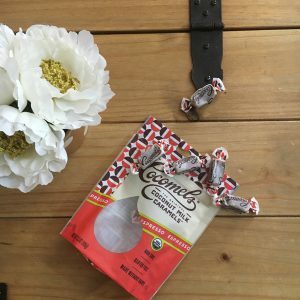 I’m the founder of Cocomels and really appreciate your wonderful review. Thank you, I share your philosophy on eating sweets. I wanted to extend one correction to ensure all was accurate. We actually use Organic Brown Rice Syrup, not Organic Rice Bran Syrup. JJ… Thanks for the correction! Typos! Thanks for making clean options for everyone!